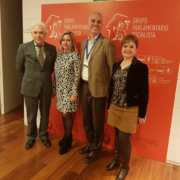 22/01/2019.- Luis Joaquín García, PI of the Network for PROmoting mental health and EMotional well-being in young people (Red PROEM) and lecturer at the University of Jaén, met with members of parliament in the Congress of Deputies in mid-December at the request of several political groups. 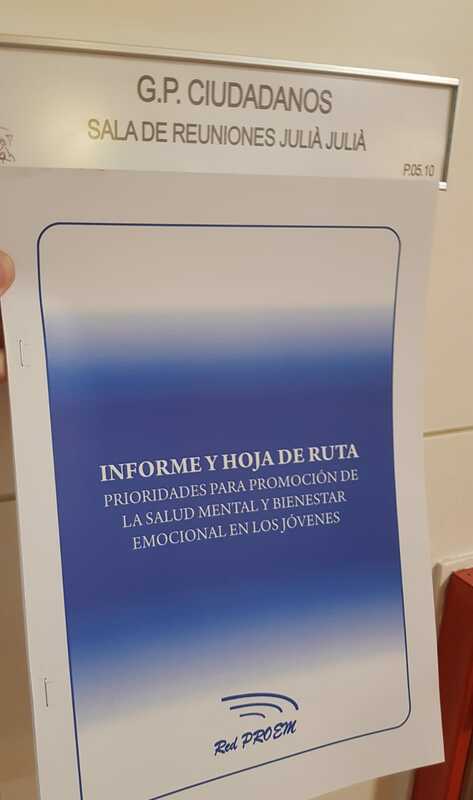 The aim of the round of meetings which took place was to present the report and roadmap on the current situation regarding mental health and emotional well-being in young people drawn up by the PROEM network to try and establish possible policies for action surrounding the emotional problems that young people in Spain experience. 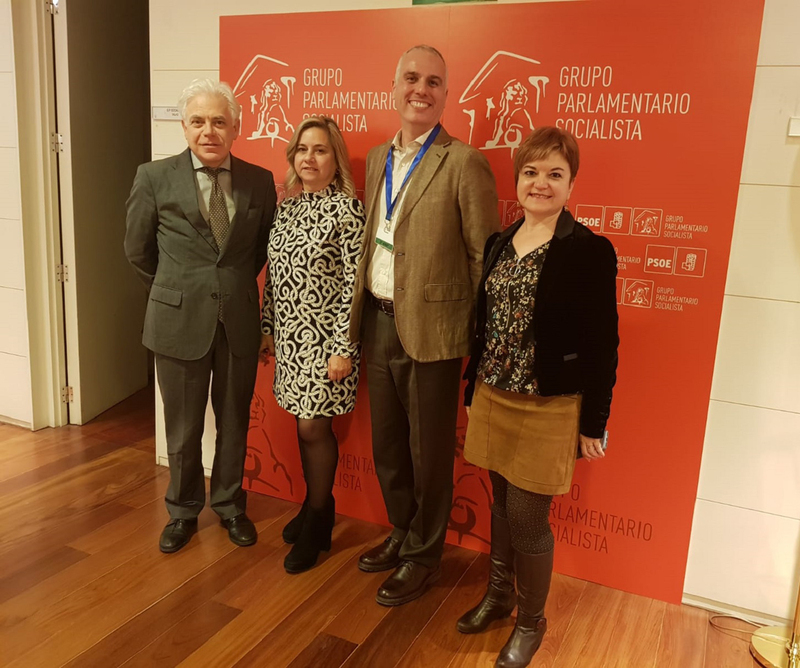 Luis Joaquín García managed to achieve consensus from several parliamentary groups to start work on the PROEM network’s proposal to include mental health as one of the strategic lines under the Spanish National Research Plan. Furthermore, mutual agreement was reached to take steps in addressing the need to develop an early detection protocol for adolescents at risk for or with mental health problems, and to implement said protocol in educational and healthcare settings. 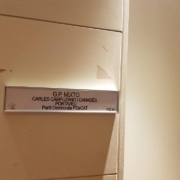 During an intense day of meetings, Luis Joaquín García first met with Carles Campuzano, the parliamentary spokesperson for the Catalan European Democratic Party (PDeCAT) and attached to the Ministry of Health, Consumption and Social Welfare. 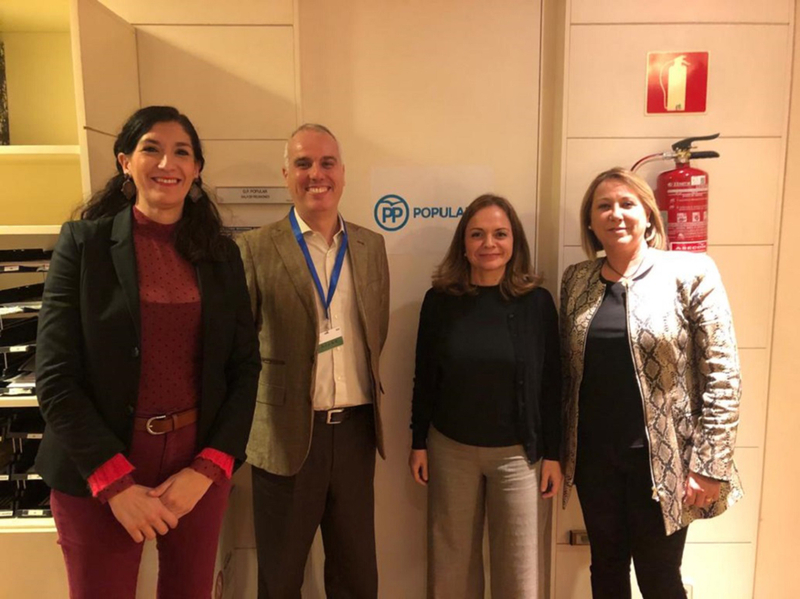 He highlighted the participation of several university researchers and Catalan organizations in the network, including the Rovira i Virgili University and Les Corts Mental Health Centre. Together they weighed up the option of backing a non-legislative proposal aimed at promoting the mental health and emotional well-being of young people and the early detection of emotional problems. 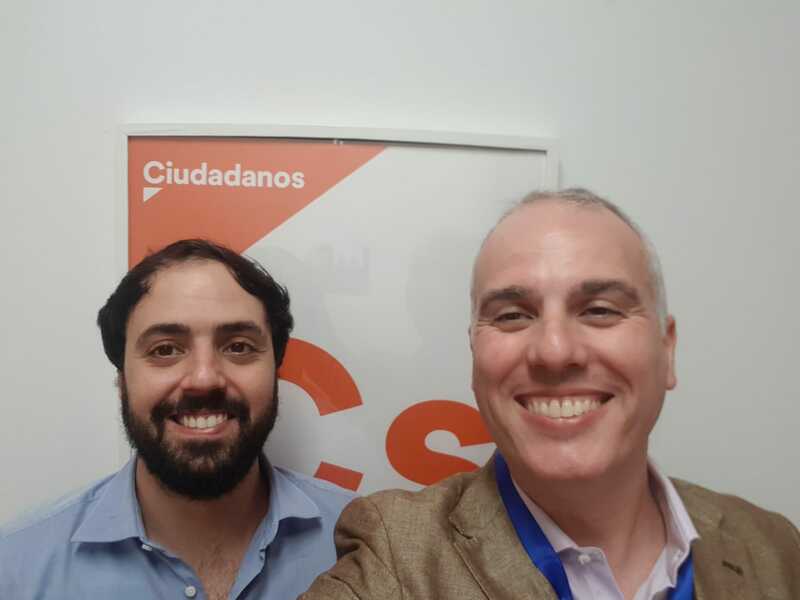 In the afternoon, Luis Joaquín García was welcomed by Marta Martín Llaguno, MP and spokesperson for Ciudadanos with the Commission for Education and Vocational Training and the Commission for Science, Innovation and Universities, and Mikel Careaga, education advisor with Ciudadanos. They opened up the possibility of working on applying for various non-legislative proposals. 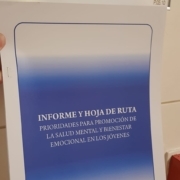 During the meeting, they expressed interest in compiling incidence and prevalence data on emotional problems in Spain and on conducting a nationwide study. The network’s PI went on to present the PROEM report to three Partido Popular MPs: Silvia Heredia, spokesperson with the Commission for Health, Consumption and Social Welfare; Loreto Cascales, member of the Commission for Science, Innovation and Universities and second vice-president of the Commission for the Rights of Children and Adolescents; and Águeda Reynés, deputy spokesperson with the Commission for the Rights of Children and Adolescents. The Popular Party MPs also relayed their intention to work together to apply for three non-legislative proposals on youth mental health as a priority. 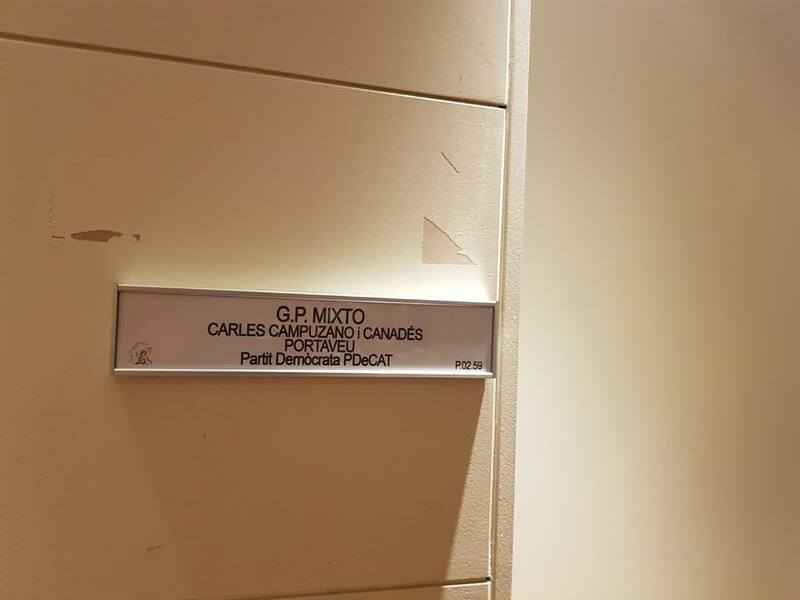 Furthermore, they confirmed to Luis Joaquín García that they had started proceedings to include the PROEM network in the Commission for the Rights of Children and Adolescents of the Congress of Deputies. Lastly, Luis Joaquín García explained the main lines of work developed by the network to three PSOE MPs: Jesús María Fernández, spokesperson with the Commission for Health, Consumption and Social Welfare; Lidia Guinart, member of the Commission for Health, Consumption and Social Welfare and attached to the Commission for the Rights of Children and Adolescents; and Begoña Tundidor, spokesperson with the Commission for Health, Consumption and Social Welfare and member of the Commission for the Rights of Children and Adolescents. 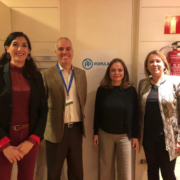 The socialist MPs listened to the report’s main points and pledged to share the report with the Ministry of Health’s task force responsible for designing the Spanish Strategy for Health. 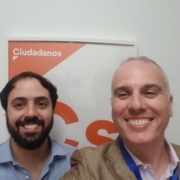 Following this initial contact, Luis Joaquín García and the rest of the working team made up of PROEM network members have already taken the first steps to lend content to the proposals made.